Jill MacLeese, DVM, Diplomate ACVO, long island veterinary ophthalmology services, long island veterinary eye care specialist. Dr. Jill MacLeese was raised on Long Island and is extremely happy to be back in NY serving the veterinary community at VMCLI. 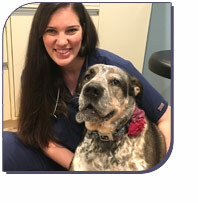 She attended veterinary school at St. George’s University, completing her clinical year at North Carolina State University. Upon graduating from veterinary school, Dr. MacLeese completed a rotating internship in small animal medicine and surgery at Southern California Veterinary Specialists in Irvine, CA.